I laze around all winter dreaming of spring and when it hits I’m ready to buy plants! Yay! Whoopee! I’m seduced by all of them. I buy them and I bring them home but then my garden is not ready for them. So this year I’ve already started prepping my beds. It’s pretty simple, clear the old debris; dead plants, tree leaves, old tags etc. 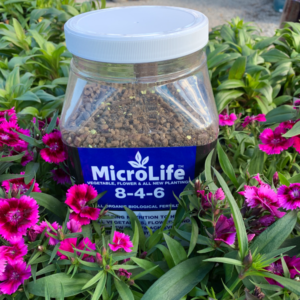 Next fertilizer with a gentle, organic fertilizer such as MicroLife 8-6-4. It’s perfect for vegetable, flower and all new plantings! Next spread some compost. How much is up to you; older bed will need an inch or two and younger beds more. 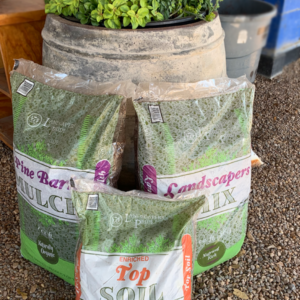 Now you are ready for spring plantings!